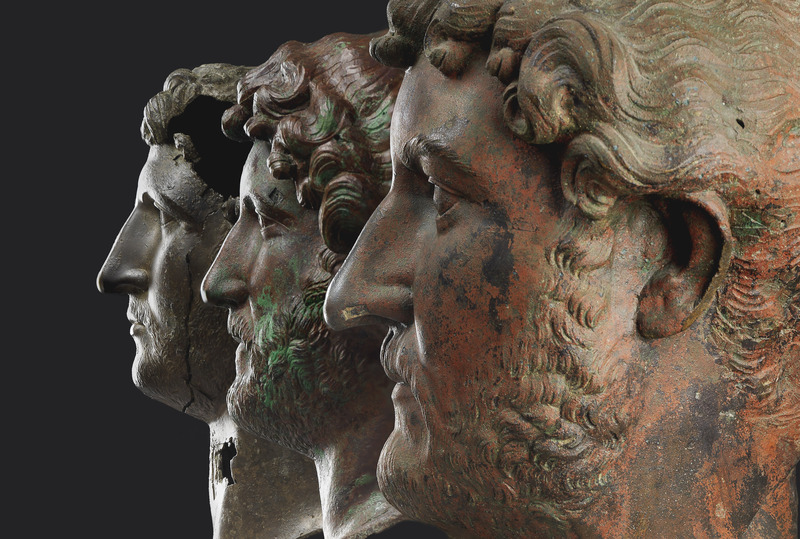 For the first time, all remaining bronzes of the Roman emperor Hadrian are being exhibited in one museum. What can they tell us about the end of the last Jewish state? Among the documents, sandals, jewelry, and coins left in a cave in the Judean desert nearly 2,000 years ago were dozens of iron house keys. Just above this cache of personal items found in what is now known as the Cave of Letters, lay the ruins of an imperial Roman army camp, which occupied and ultimately destroyed Jerusalem and its surrounding Jewish communities one final time during the suppression of the Bar Kokhba Revolt in 136 CE. The Bar Kokhba revolt was a major turning point in Jewish history. It was the final crisis that scattered the people of Israel into a diaspora that would last nearly 2,000 years. Yes, the famous destruction of Jerusalem by the Romans in 70 CE, which left the Second Temple in ruins, also sent people fleeing to the diaspora, but the brief attempt to throw off Roman rule in 130 CE was the last straw. Enormous numbers of Jews, both soldiers and civilians, were slaughtered. Many of the survivors were sold into slavery. Others fled a nation that had been decimated by war. It was a loss that completely severed a people from its roots. As Mevorah looks at the ancient keys on display, he compares them to the collections of shoes and suitcases of Holocaust victims. “It’s a holocaust, and Judaism changes forever,” Mevorah says of Rome’s suppression of the revolt. The Jewish legacy in Israel was also affected, as Hadrian changed the name of the province from Judea to Palaestina in an attempt to erase its Jewish past and the threat it posed to his hold on power. 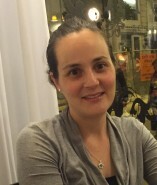 “The Romans never changed the names of provinces, this was a really big deal,” Mevorah explains. “And Hadrian chose to name it after the Philistines from the Bible, who are portrayed as the enemies of the Jews.” Historical sources mention Bar Kokhba and his fight for Jewish independence, but details are scanty, and speculation still continues as to its true cause. The 2nd century Roman historian Cassius Dio wrote that the Jews revolted when Hadrian visited Jerusalem in 130 CE and renamed the city Aelia Capitolina after himself. This led to a Jewish uprising of “no slight importance nor of brief duration.” Roman soldiers, with extra legions sent from abroad, spent four years suppressing the revolt. The war was devastating. The legions destroyed 50 fortresses, 985 settlements, and killed 580,000 fighters and innumerable others who died of starvation and illness. “Thus nearly the whole of Judea had been made desolate,” Dio wrote of the aftermath. The exhibit encapsulates the continuing quest of the Jewish people to assert their side of the story, to demonstrate their historical link to the land of Israel and the trauma of their long and troubled past. But the Christian historian Eusebius, a bishop of Caesarea, wrote that Hadrian only changed the name of Jerusalem to Aelia Capitolina after Roman troops suppressed the revolt, as a punishment for the Jewish uprising. Hadrian banned Jews from the city and attempted to erase their connection to it through changing its name. “It was colonized by a different race,” Eusebius wrote. 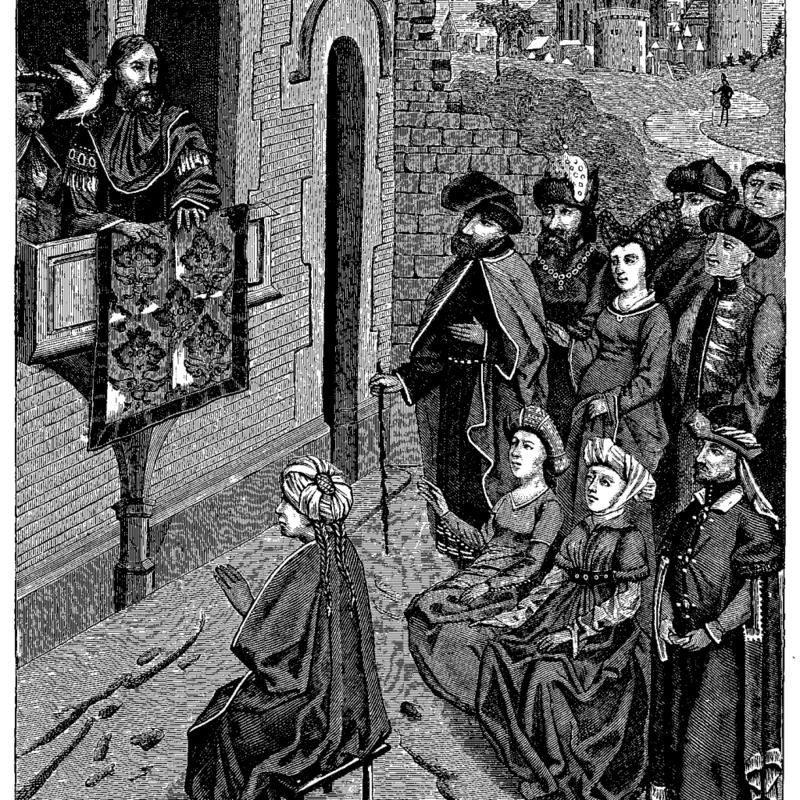 Another chronicle on the time, the Historiae Augustae, says that it was a ban on circumcision, which the Roman Empire considered a form of castration, that triggered the uprising. 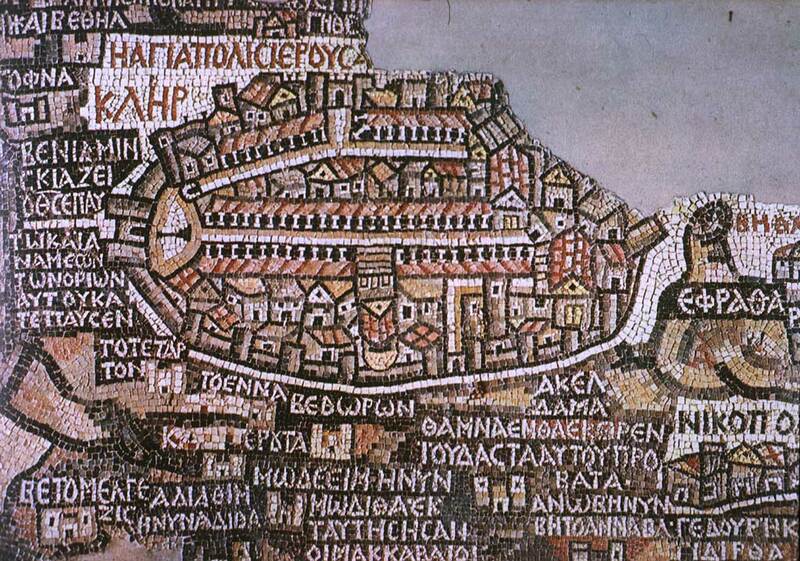 Scholars today are still divided on what exactly triggered the revolt and when Jerusalem was renamed. The Jewish sources include little historical material about the war. Instead, they chronicle a debate on whether its leader should be called Bar Kokhba, meaning “son of a star,” and hailed as a messiah, or Bar Koziba, “son of a liar,” whose power and ambition resulted in calamity for his people at the hands of the Romans. The new Israel Museum exhibit on Hadrian highlights the emperor’s attempt to wipe out the Jewish connection to Jerusalem and the surrounding area. At the same time, however, it shows that this was a black mark on a list of otherwise enlightened accomplishments. Three bronze statues of Hadrian, one found in Israel, one at the bottom of the Thames River in London, and one of unclear origins bought at a Paris antiquities market in the 19th century, are the focus of the exhibit. 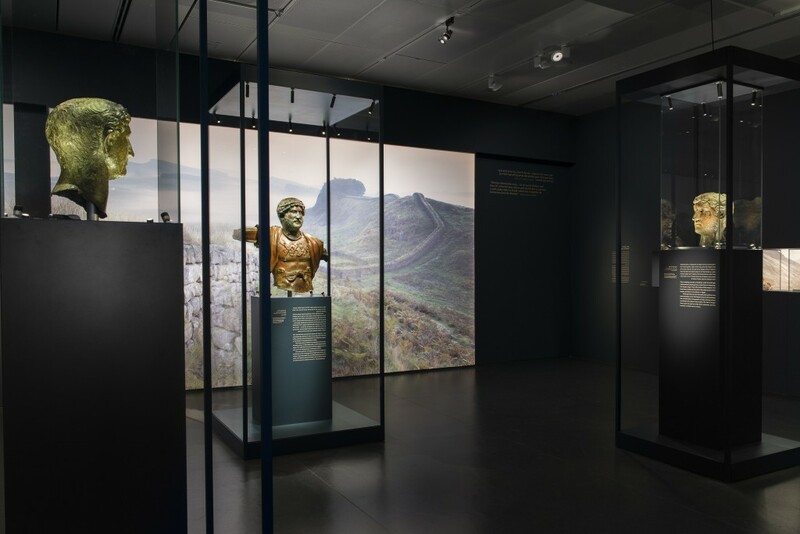 It is the first time these three statues, the only bronzes remaining of Hadrian, have been displayed together. The subtle differences in the three statues are used to tell the story of the different views on Hadrian and his legacy, particularly the unique Jewish picture of him after the bloody suppression of the Bar Kokhba revolt. The Romans saw him as a strong leader who pacified Rome’s vast empire; the Jews saw him as a brutal and murderous tyrant. In this way, the exhibit encapsulates the continuing quest of the Jewish people to assert their side of the story, to demonstrate their historical link to the land of Israel and the trauma of their long and troubled past. Does this mean, at least in part, that Hadrian’s attempt to wipe out the Jewish legacy in Israel somehow succeeded, forcing the descendants of Bar Kokhba to continually recite their narrative, even today, to its doubters, to those who see Zionism as just another form of modern colonialism? Perhaps not. The Israeli story of the revolt, now illustrated with archaeological evidence, including the keys and letters from Bar Kokhba found in the caves, and a recently-discovered engraving commemorating Hadrian’s visit to Jerusalem in 130 CE, may be a narrative of ultimate victory. It took 2,000 years, but the Jews finally defeated the emperor they loathed. But in the late 1950s, that ghost began to show signs of life. Fragments of leather and papyrus bearing Greek and Hebrew writing were put up for sale in the antiquities market in the then-Jordanian controlled Old City of Jerusalem. The sellers were desert-dwelling Bedouins from the Ta’amireh tribe—the same group that discovered the famous Dead Sea scrolls a decade earlier. One of the ancient letters, which the Bedouins said was found in a cave near Qumran, where the Dead Sea Scrolls had been found, was from Shimon Ben-Kosiba, Bar Kokhba’s given name. When news of these documents made its way to Israeli scholars on the other side of the city, a series of expeditions were organized to explore the caves, hoping to find additional artifacts from the revolt before the Bedouins did. Over the course of two weeks in the spring of 1960, an expedition led by the IDF and involving several archaeologists and dozens of volunteers explored 14 square kilometers of the Judean desert. They flew in helicopters through narrow canyons surveying the land, and used rope ladders to enter the numerous caves in the steep cliffs. It was not just a scholarly mission in pursuit of the first actual archaeological evidence of a man named Bar Kokhba. It was a search for a man who had become a hero. With the advent of modern Zionism and the then-recent establishment of the State of Israel, Bar Kokhba’s legend had emerged as an inspiring example of the ongoing fight for Jewish independence. In contrast to this hunt for traces of Bar Kokhba, the archaeological evidence for Hadrian’s presence in Israel was mostly found by accident. In 1975, an American tourist was walking with a metal detector outside Kibbutz Tirat Zvi in the Beit Shean Valley near the site of a Roman camp, hoping to find ancient coins. When his detector buzzed, he dug about two feet into the ground and found a bronze head. Gideon Foerster, then the Israel Antiquities Authority’s head archaeologist for Israel’s northern region, recalls getting a phone call about the find and rushing to the kibbutz. “Then, I saw this bronze head of Hadrian sitting on display in the kibbutz dining room,” Foerster told me. “This was 40 years ago, but it’s still a story for me.” He then led an archaeological excavation in the area the head was found. He uncovered another Roman army camp, where troops likely displayed the bronze statue of the emperor. He also found 40 additional pieces of the statue, including muscular shoulders, and an armored chest and torso, showing Hadrian as a military commander. The figure was reassembled and now stands in the Israel Museum as the center of the current Hadrian exhibit. Of the three bronzes of Hadrian on display this is largest one. On the other borrowed bronzes, found in England and probably Turkey or Egypt, only the heads remain. They may also have portrayed Hadrian in military pose, but it is equally likely that they showed him in another aspect, as a god or high priest, as was common around the empire. In the fall of 2014, while undertaking routine excavations, the Israel Antiquities Authority uncovered an inscription bearing the name and title of Hadrian and commemorating a visit he made to the city in 130 CE. This inscription was the missing half of a Latin inscription found in Jerusalem in 1903, which archaeologists could never tie definitively to Hadrian, because the first half lacked his name and the date. Hailed by the Antiquities Authority as “one of the most important” Latin inscriptions ever found, it confirmed Cassius Dio’s written account of Hadrian’s fated visit to Jerusalem and that the city was still called Jerusalem at the time. Although this is the first concrete evidence of Hadrian visiting Jerusalem, it is still not clear when he renamed the city Aelia Capitolina.